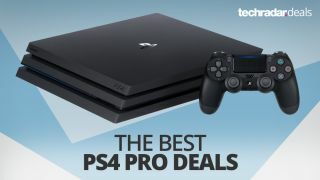 There's not really much of a discount on this PS4 Pro bundle as stock of the 4K console is thinning out again. As things stand, it's actually cheaper to buy the console on its own (see above deal), then pick up Red Dead redemption 2 separately. It's been a while since we've seen the rare white PS4 Pro and even longer since we saw it for a decent price as third-party sellers have been hiking prices skywards. Electronics specialists ebuyer isn't going to play you like that though and has kept it at RRP and even thrown in a free copy of Spider-Man too. And with that game still rocking a high RRP, this is a great chance to save a few quid.